Before joining the Collaboration and Multimedia Group at Microsoft Research, Jonathan Grudin was Professor of Information and Computer Science at University of California, Irvine. He has a BA in Mathematics-Physics from Reed College and a PhD in Cognitive Psychology from University of California, San Diego. 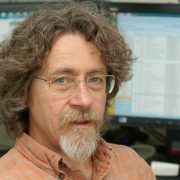 He is Editor in Chief of ACM Transactions on Computer-Human Interaction and co-chaired the 1998 ACM Conference on Computer Supported Cooperative Work (CSCW’98).